EconomicPolicyJournal.com: Famed Short-Seller Chanos Warns Against Bitcoin; "Libertarian Fanatsy"
Famed Short-Seller Chanos Warns Against Bitcoin; "Libertarian Fanatsy"
Renowned short seller Jim Chanos is the latest noted investor to rail against cryptocurrencies like bitcoin, reports Investopedia. 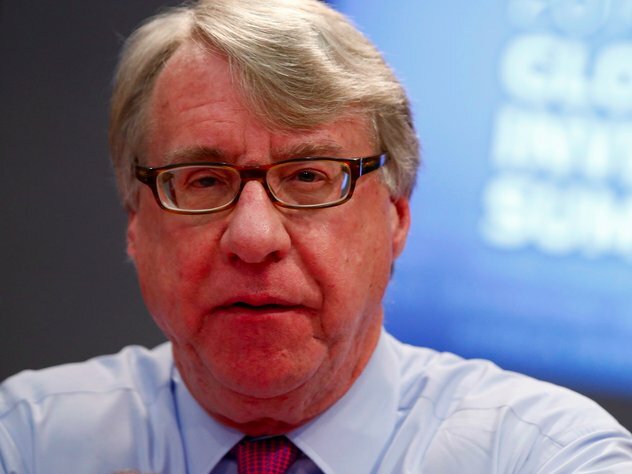 “This is simply a security speculation game masquerading as a technological breakthrough in monetary policy,” Chanos said in an interview with Institute for New Economic Thinking. He called bitcoin a “libertarian fantasy” as so many of its supports hail its decentralized and anonymous nature as among its strengths in the currency market. And he said it’s wrong to believe cryptocurrencies would ever replace fiat currencies. “And if you say, well, fiat currency is going to bring the world down, which could, of course, happen, then I say the last thing I’d want to own is bitcoin if the grid goes down,” Chanos said, adding that he would rather have food than digital currencies in a worst-case scenario. RW note: Chanos is correct here except for the part about it being a “libertarian fantasy.” There are libertarians that pray at the virtual Bitcoin altar but they are the confused libertarians, not all libertarians do. And it is seriously delusional to think Bitcoin is an anonymous currency as some libertarians believe. Further, libertarianism, as a philosophy of liberty, has nothing to do with Bitcoin. Bitcoin has as much to do with libertarianism as it does with the Duchess of Sussex. "Further, libertarianism, as a philosophy of liberty, has nothing to do with Bitcoin. Bitcoin has as much to do with libertarianism as it does with the Duchess of Sussex." Robert, I can understand that you do not think that Bitcoin is a good store of value, and that you disagree with those who believe Bitcoin provides transaction privacy, but I don't know how you can make the above statements. Libertarianism, as I understand it, involves not just arguing against the state's legitimacy, but also finding ways to chip away at the state's hold on individuals, to find private solutions to replace services provided by the state, to ignore the state, etc. Any potential currency provided by the private sector which might be an alternative to the state's currency surely qualifies? It might not succeed in its objectives, but that is irrelevant to whether Bitcoin is "connected with" libertarianism.